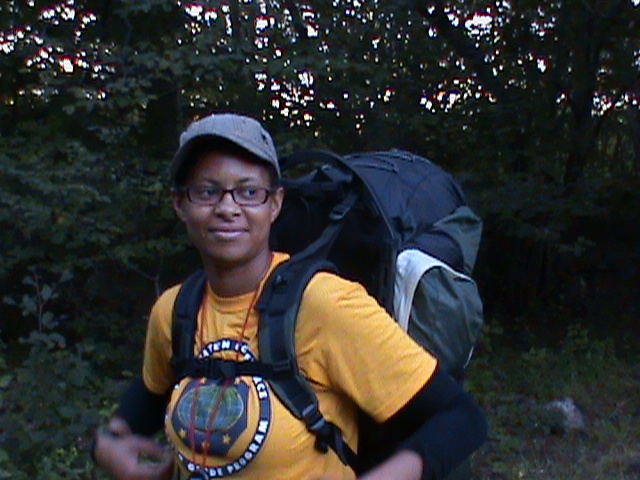 I love camping and I go a few times a year, sometimes with my youth group from church, sometimes with other adults. Years ago, camping meant something different from what I do these days. When I was younger, living in Jamaica, camping meant that we went out and did outdoor cookouts and outdoor activities and slept in a school building during the summer holidays. Then, camping was just surviving away from the comforts of home. 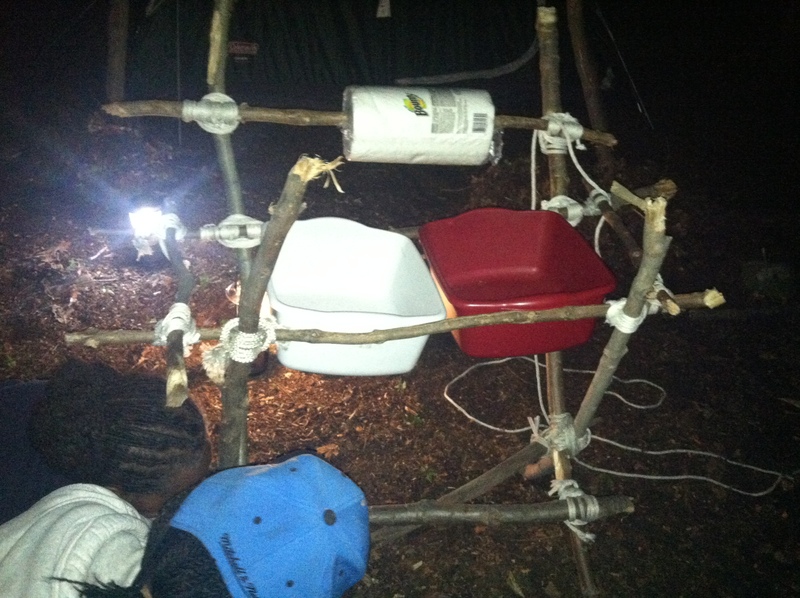 … and practice making emergency shelters so we can survive without tents. We make campfires and cook meals on the open flame, and live without running water and modern bathroom and sink facilities. 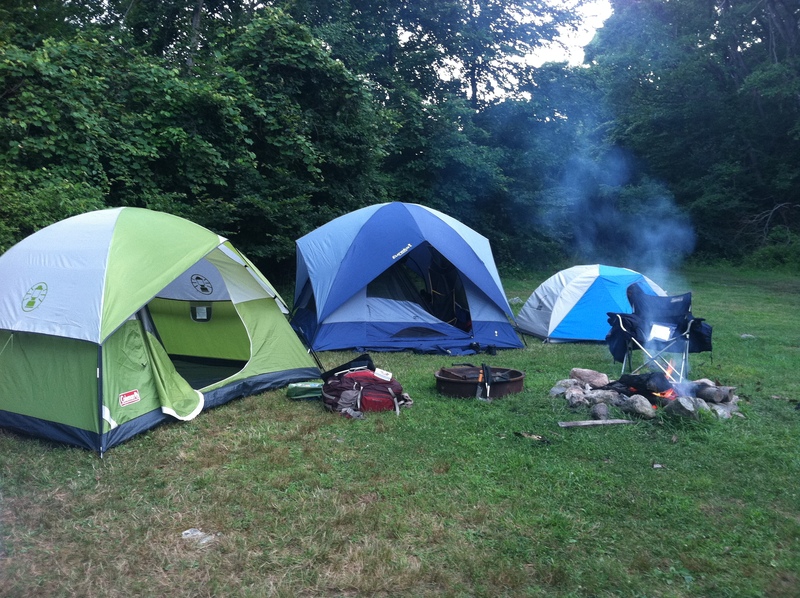 Sometimes, these camping trips include trail hiking, where you hike for hours with all the gear you need to survive on your trip strapped to your back. Going backpacking. Since this picture, I’ve learned to never hang anything around my neck, not even a compass. It’s summer again, which means camping season is about to begin for me. In 2 weeks, I will attend my annual leadership training camp, where I help instruct the new leadership candidates. 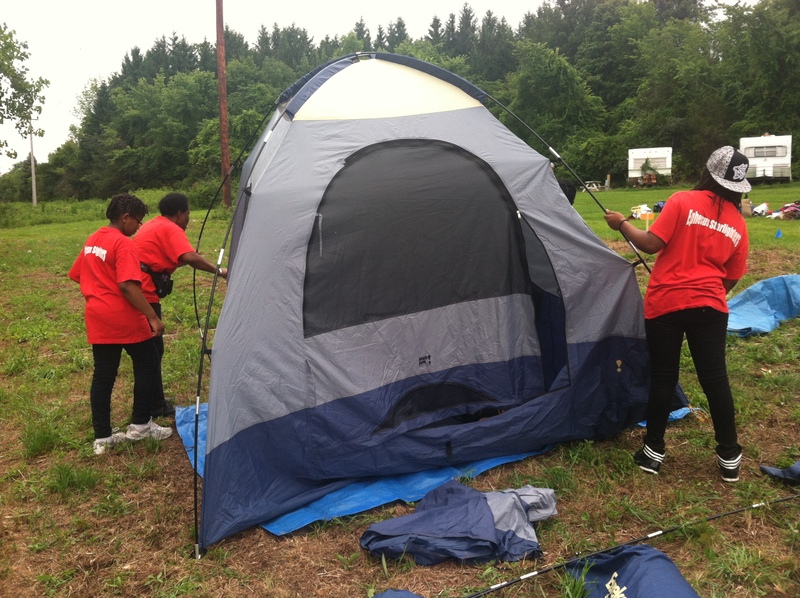 And as I was helping to prepare the candidates from my class, I was reminded of my own experience transitioning from what camping meant to what it means now. 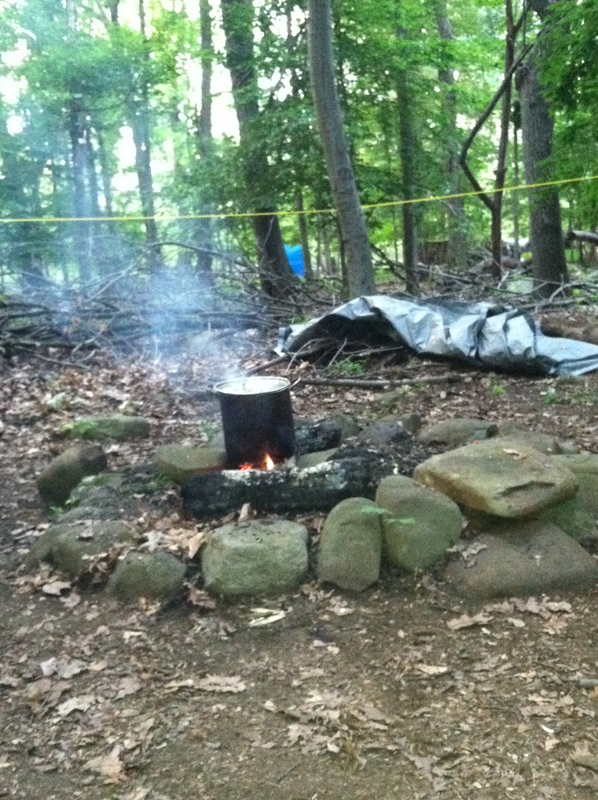 These are 6 of the most important camping/hiking lessons I’ve learned. I share them with you here so you can benefit from my misadventures, and spare yourself some embarrassment, discomfort, time or a combination of all 3 if you ever heed the call of the wild and go camping too. 1. Take the time to pack your backpack properly. Make a list of all the essentials and the luxuries. Make sure you have the essentials. That’s why they are called essentials. If you have limited room, prioritize the luxuries. The essentials include food, water and water purification methods, sun protection, rain gear, emergency first aid, emergency shelter, fire starters, insect repellent, knife, emergency signaling device and a flashlight. These items should be in your pack even if you go out for a day. You never know what can happen. We’ve all heard the horror stories of someone who got lost in the wilderness and was stuck way longer than they planned. Anything else you carry is a luxury, and you have to evaluate each thing based on weight and it’s ability to be a multipurpose item. Your pack should weigh about one third of your body weight. 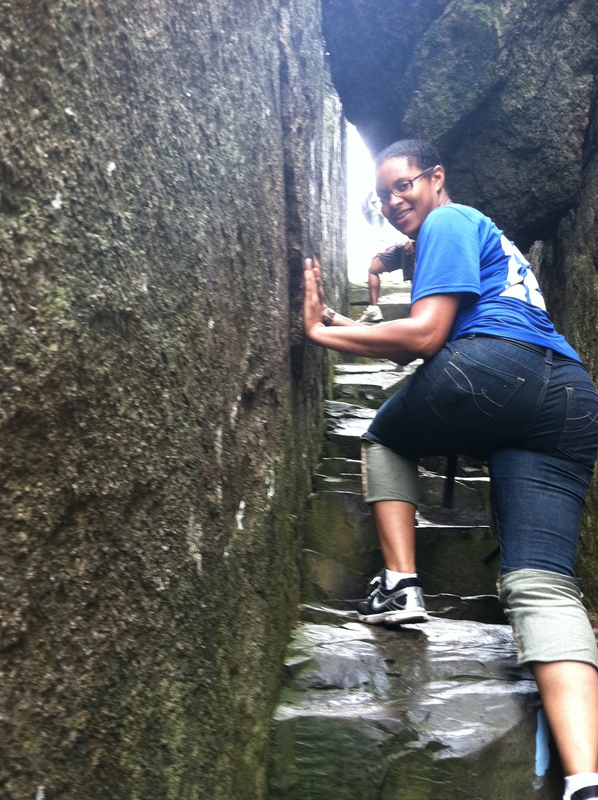 Heavier than that, you’ll have difficulty, scrambling over the rough spots on the hiking trail. Practice carrying your pack with all your gear around your house for an hour or so while you do some basic activities. This will give you an idea of how comfortable your backpack is and whether you need to make adjustments. 3. Test your gear before the trip. You don’t want to have to carry instructions for the new stove you bought the day before the trip. And worse, you don’t want to be in the wilderness, caught in a storm, needing a cup of tea, only to discover that your fancy new stove doesn’t work. 4. 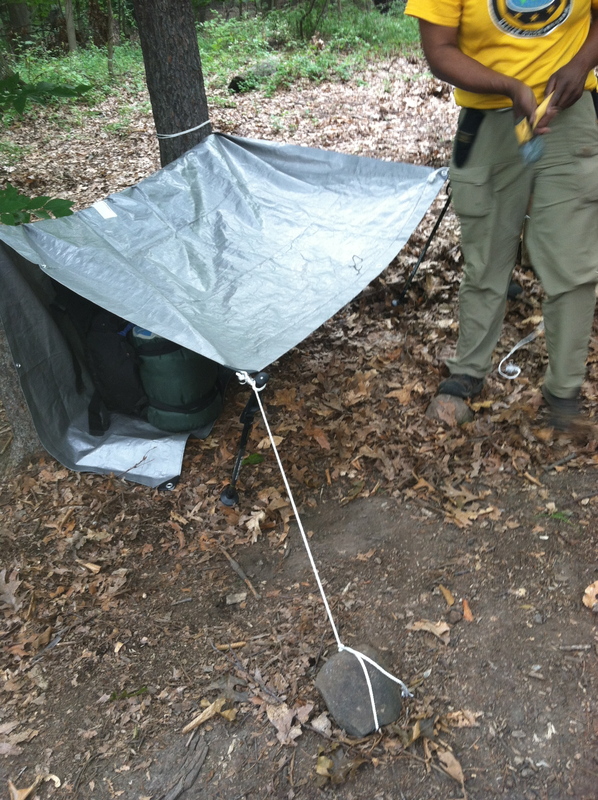 Practice your camping skills a few times before you hit the trail. Even if you think you know how to tie the essential knots, take some time to practice them a few days before the trip. You don’t want to need a knot and have to think about how to tie it. 5. 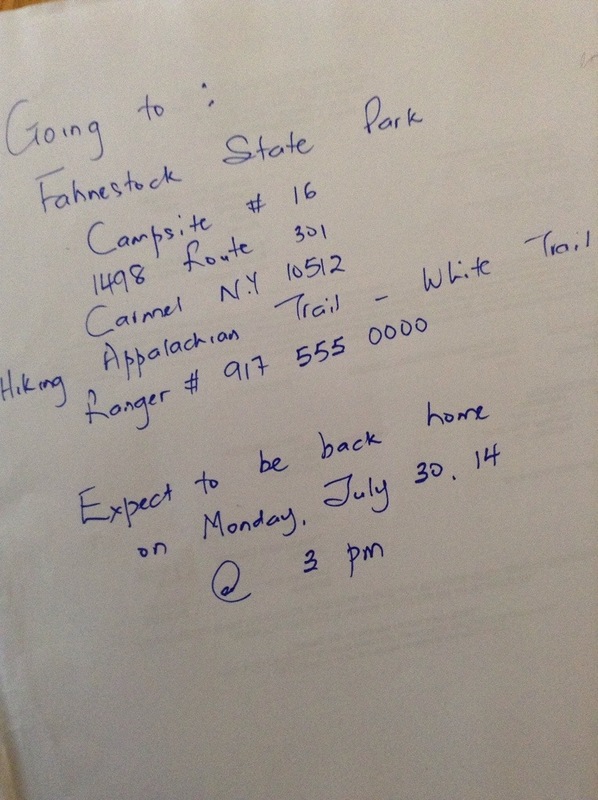 Leave your complete itinerary with someone you trust. Even if you’re going with a group, it’s nice to know that there is someone waiting to hear from you, expecting you to check in when you’re back home safe and sound. 6. Wear comfortable shoes and the appropriate socks. This is absolutely the most important tip. Hiking boots are necessary for a hike. Carry a pair of rubber-soled walking sandals or light sneakers that you can rest your feet in during breaks. But do not skimp on your boots. Save your money elsewhere. Wear wool socks that protect your feet from sweating and slipping. 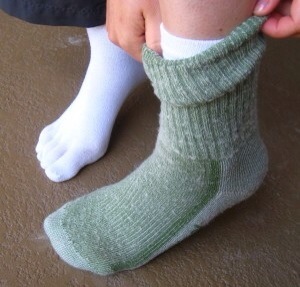 Where possible, double up your socks – synthetic liner close to your feet, wool socks over them. The air between the two layers will help prevent blisters that form due to friction. Break in your shoes before you leave home on a day-long hike. On a hiking trip, your feet will be your main form of transportation. Take care of them! Camping is one of the highlights of my yearly activities. When I practice these tips, I usually have a better trip. I hope they help you too. Next Post Are You Smarter Than A Fifth Grader? You’re absolutely right with this tip, and really with all of them. Cotton has a song that’s sung about it. Wool is under appreciated but it is the best fabric for hiking and being outdoors. Would you believe that I’ve never been camping. Thank you for this information. It helps me to get prepared for my thru hike. Oh wow. We will have to go camping together. there is much to learn and it can only really be grasped when you’re out in the wild. let’s do that soon.